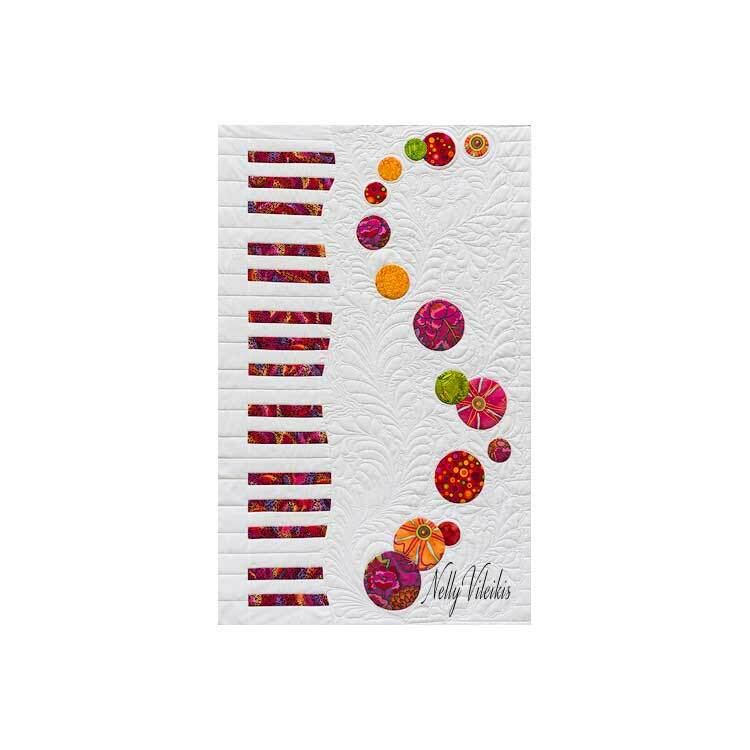 While working on this elegant and contemporary wall quilt you will explore several techniques to make and applique circles. 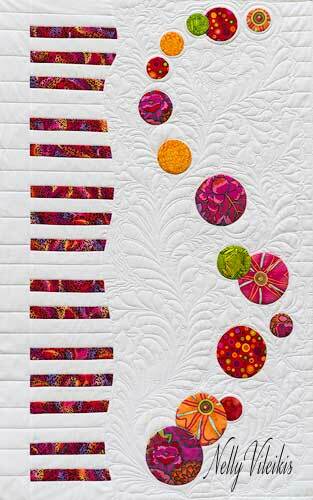 Strip pieced piano keys are transformed by a gentle curve to frame the appliquéd bubbles. Several techniques for machine and hand appliqué will be discussed. Includes short discussion of quilting choices.